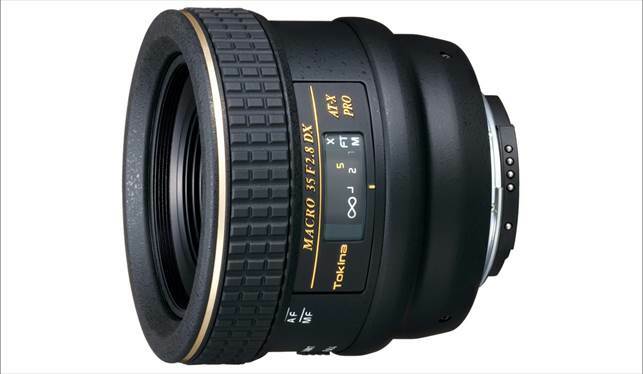 The Tokina 35mm gives a short effective focal length of 56mm on an APS-C camera – very close to a ‘standard’ 50mm prime lens on a full-frame body – and offers true 1.0x macro magniﬁcation at its shortest focus setting. These beneﬁts are not without some considerable compromises, however. The inner barrel of the lens extends during focusing from inﬁnity to its closest focusing distance of 14cm (measured from the focal plane). At this point, the front edge of the lens barrel is a mere 15mm from the target. And that’s after you’ve removed the spacer ring from the ﬁlter thread, without which only the shorter end of focus travel is available when a ﬁlter is ﬁtted. Being one of Tokina’s ‘DX’ lenses it’s not compatible with full-frame cameras, but it’s compact and well-suited to APS-C cameras such as the 60D. What’s not so nice is that the autofocus motor is noisy and very slow, sounding a bit like an electric winch that’s about to stall at any moment. There’s a focus limit switch that works either side of about 16cm but, even so, the autofocus could do with a big increase in speed. The optical prowess is very impressive but, overall, the Tokina is a compromise too far. A part from an extra 10mm in focal length, the Tokina 100mm’s design looks extremely similar to that of the Tamron 90mm, also on test here. They’re almost the same size, have the same push-pull focus ring to switch between autofocus and manual, a practically identical focus limit switch and similar lettering. That aside, the Tokina is signiﬁcantly heavier at 540g compared to the Tamron’s 405g, and build quality feels rather more robust, in keeping with Tokina’s ‘ Pro’ label. Unlike Tokina’s 35mm ‘DX’ lens, the 100mm is fully compatible with full-frame cameras such as the 5D Mark II, while giving a generous equivalent focal length of 160mm on Canon’s APS-C bodies. Sharpness, contrast and other optical attributes proved very good in our tests, but there were question marks over autofocus accuracy – sometimes the Tokina’s AF system was very precise, but on several occasions it focused slightly in front of or behind the target. These inconsistencies were particularly noticeable when shooting macro subjects with moderate to large apertures, due to the very tight depth of ﬁeld. Autofocus errors aside, the Tokina is a good lens. But the Tamron 90mm is a better buy at the price. 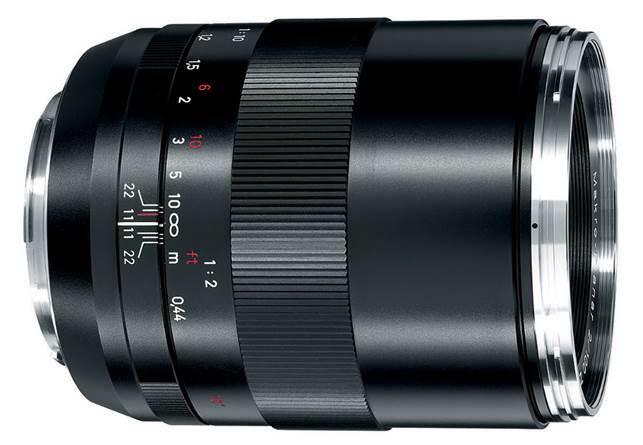 The Zeiss 100mm feels like a work of true craftsmanship with its all-metal body. Even the handgrip on the focus ring is knurled metal rather than being rubberised, although there’s a downside in that the lens feels quite slippery if your hands are cold or damp, increasing the risk of dropping it. There’s a wonderfully smooth, almost ﬂuid feel to the manual focus ring, which offers perfect precision thanks to its ultra-low gearing – the ring itself turns through almost 360 degrees as you go from inﬁnity down to the closest focus distance setting of 44cm. That precision comes in very useful, as there’s no autofocus mechanism so focusing is a purely manual affair – although focus conﬁrmation dots light up in the viewﬁnder. The lack of autofocus isn’t really an issue for macro shots but it’s a pain in general photography. The macro facilities of the Zeiss are a little limited, as it only offers a maximum magniﬁcation of 0.5x at the closest focus distance. 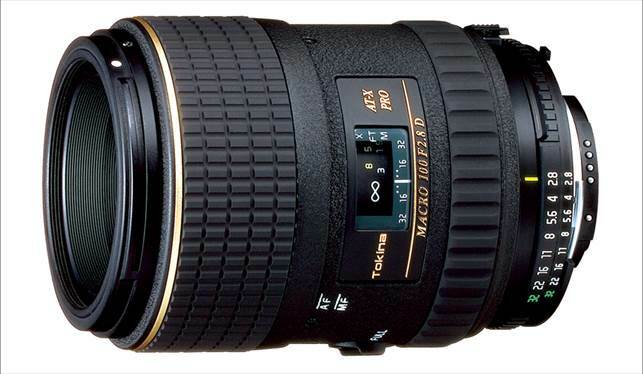 Optical quality is simply stunning throughout the entire f/2-22 aperture range. But, with reduced macro magniﬁcation and no autofocus, there’s little else to justify the high price. It’s unlikely the Zeiss will ever appeal to the masses. 1. A focus limit switch can speed up the performance of autofocus systems considerably, especially in tricky conditions when autofocus is prone to hunting throughout the available range. 3. Full-time manual focus override is useful, as it enables you to easily tweak the autofocus setting to fine-tune focus distance. 4. A tripod with a centre column that rotates to become a horizontal boom can make macro photography much easier. 5. Live View with maximum magnification set up is great for really nailing the focus in macro shots quickly, using your D-SLR’s display screen.